Grab your Discounted Pet Poop Grabber while the store LAUNCH DISCOUNT is on. Once we reach 300-unit sales, we will be increasing the price back up to $49.98. This is absolutely a great gift! All you ever wanted was to have a peaceful day out with your dogs under the playful warmth of the sun, but then the inevitable happens – your pet drops the poop bomb. People around are giving you the look while covering their noses from the stench. So you hastily drop and clean up the mess with your bare hands, picking up whatever cleaning material there is and suddenly, you accidentally stained your hands with the poop-bomb. Disgusting. But worry not! This doesn’t have to happen to you, for the Pet Poop Grabber is here to the rescue! You don’t have to touch the poop with your bare hands, for it does the job for you. 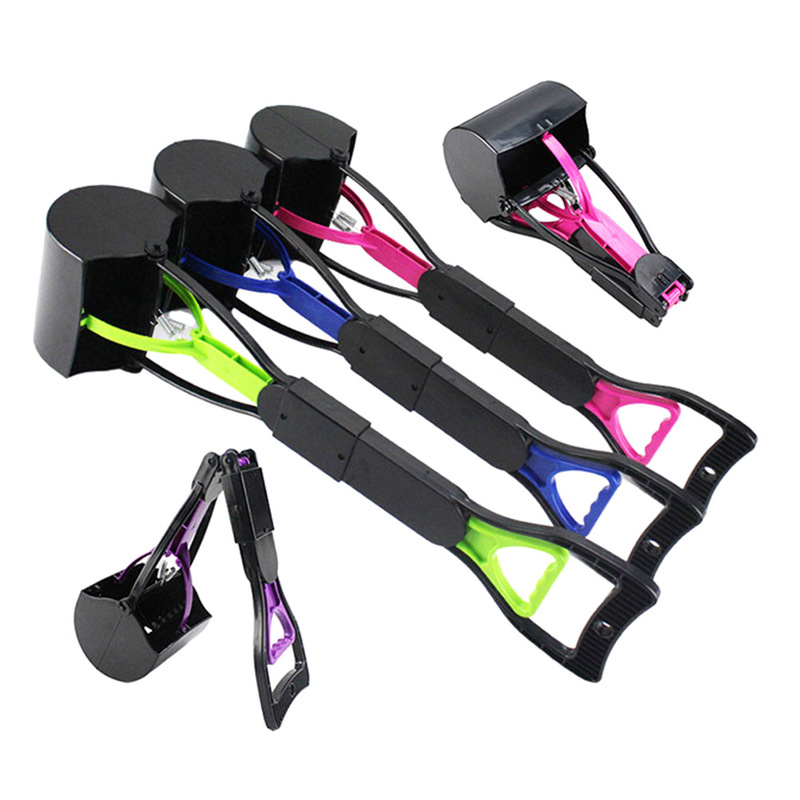 It has a jaw/teeth design that makes it easier to pick up all kinds of mess from any surface. It can pick up from grass, flat, stones, and even snow effortlessly! It has a spring design and an easy, firm grip; making it stable and durable. Say goodbye to messes because it stays clean after use. The scooper works with a waste bag and picks up waste directly into the bag. Trash bags are attached on the shaft of the scooper and are easily dispensable. Paper towels can also be used for the device. It’s compact and lightweight, making it easy to carry around. Plus, it comes with a lockable D-ring so you can easily and securely attach it anywhere you want – be it your bag or even on your belt. 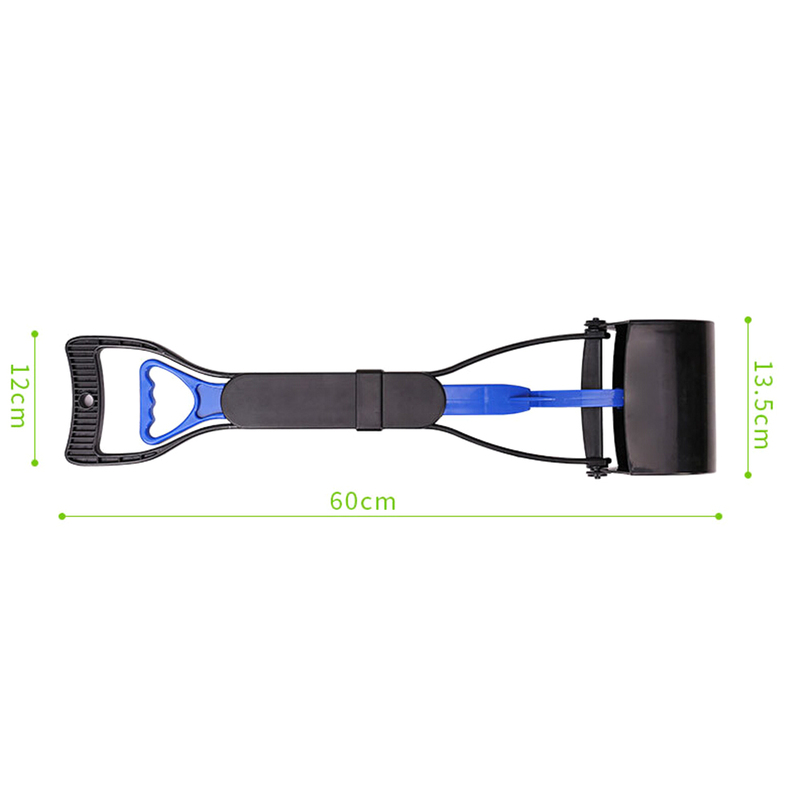 It is a unique single-handed and touching-free poop grabber, ideal for small to medium sized dogs. It comes in three different colors! Red, Blue, and Yellow. No more mess, no more hassle. The Pet Poop Grabber will surely make your poop-cleaning life a tad bit easier. So help yourself with one!